WATCH: WCU's Under A Rest Lend Their Polished Vocals To Cover Of Dua Lipa's "New Rules"
To an a cappella aficionado, there are few things in the world as soul satisfying as well-balanced and tuned chords. 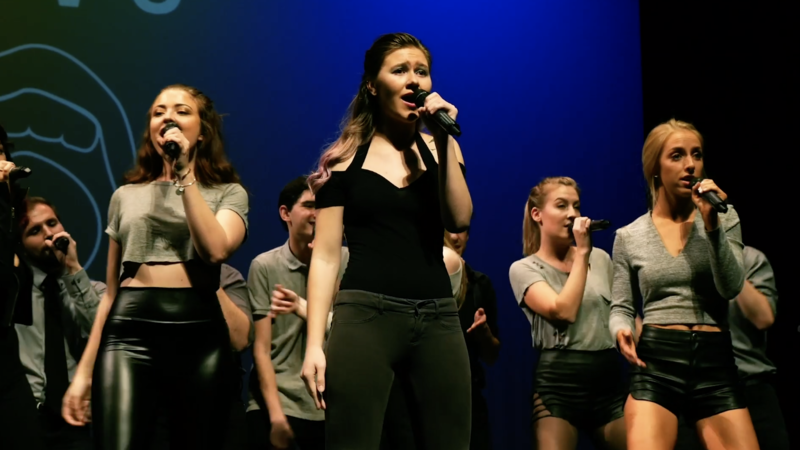 And this new cover video by West Chester University's Under A Rest is proving why. In the group's latest video, they bring a refreshing sound to the current Pop hit "New Rules" by Dua Lipa. Yes, the song is currently one of the biggest tracks out right now and has spurred plenty of covers. But it is in the foundation of Under A Rest's group sound and the arrangement in general that has us hooked. The EDM and electropop heavy performance features so many shiny moments from the endless supply of well-placed belltones to the moments when the group drops out, only to return with a massive chord that rings out in complete satisfaction. It's all Pop, but yet, so much more. The tone is sophisticated, dark and heavy, which when paired with Under A Rest's compelling a cappella sound add a more nuanced feel to the song. Each time the backing chords hit in the song's chorus, it makes everything seem bigger, more artistic and incredibly dynamic. Pair all of these elements with the group's talented soloist and the visual prowess offered by the WCU Dance Team and there's no way this video can't win!